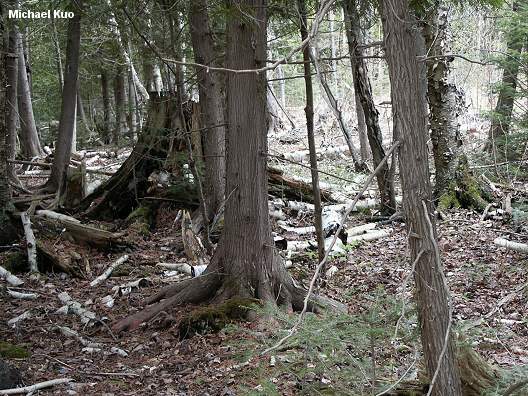 Growing in wet areas in the northeast; bark reddish to grayish, peeling away in distinctively interlaced, hairy strips; cones leathery and small. Habitat: Often in nearly pure stands in bogs and along coasts. Stature: 50-80 feet high; to 2 feet in diameter; pyramid-shaped or irregular. 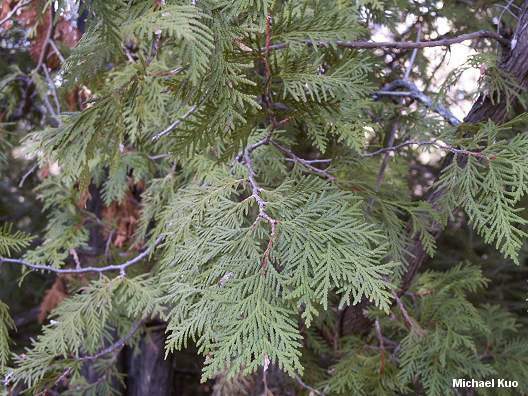 Needles: Scale-like; rounded; dark yellowish green; fairly soft. 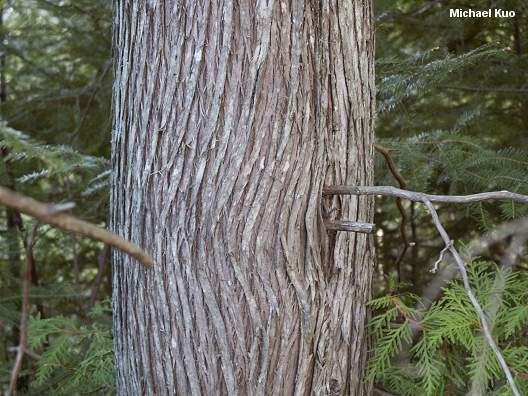 Bark: Thin; in interlaced, hairy strips that begin to peel away; reddish brown to dark gray. Cones: Under 1/2 inch; leathery. Many species of Lactarius, including Lactarius thyinos and Lactarius deliciosus var. deterrimus; Helvella albella; and many others.